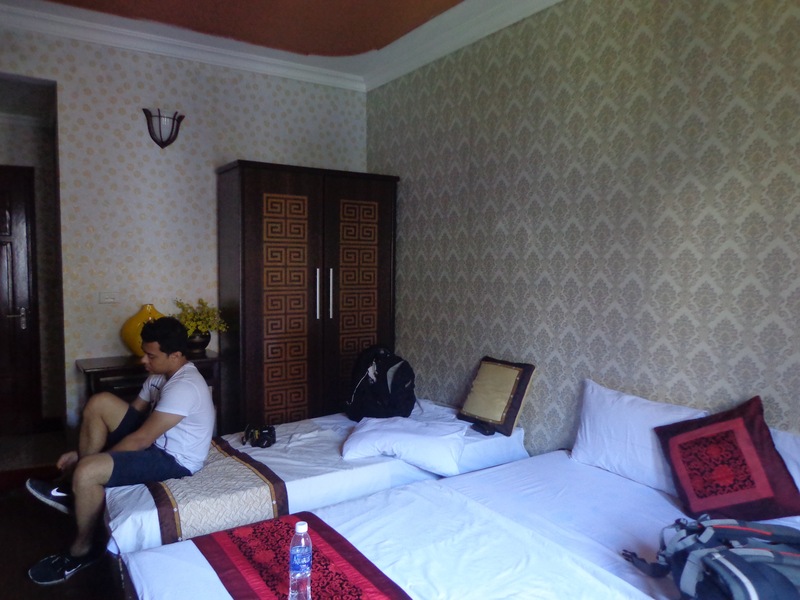 We left Winter Hostel in Ha Noi because the room was very dark and depressing. A decent suggestion by Tripadvisor was Aurora Hotel on Ma May street. En route, I came across hawkers which reminded me more of Kolkata suburbs. 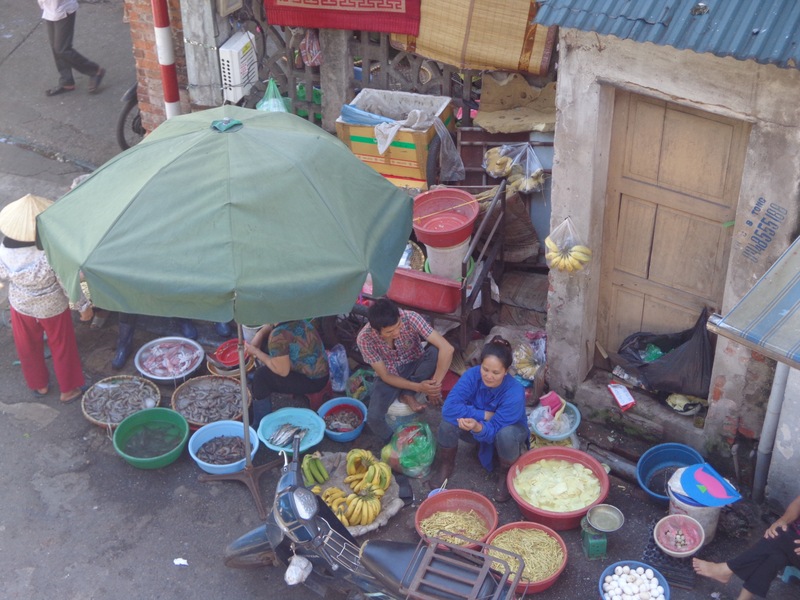 Hawkers sit with fruits, veggies, meat. etc. in the morning on roads of Old Quarter. We moved to a better accommodation on one edge of Ma May street. 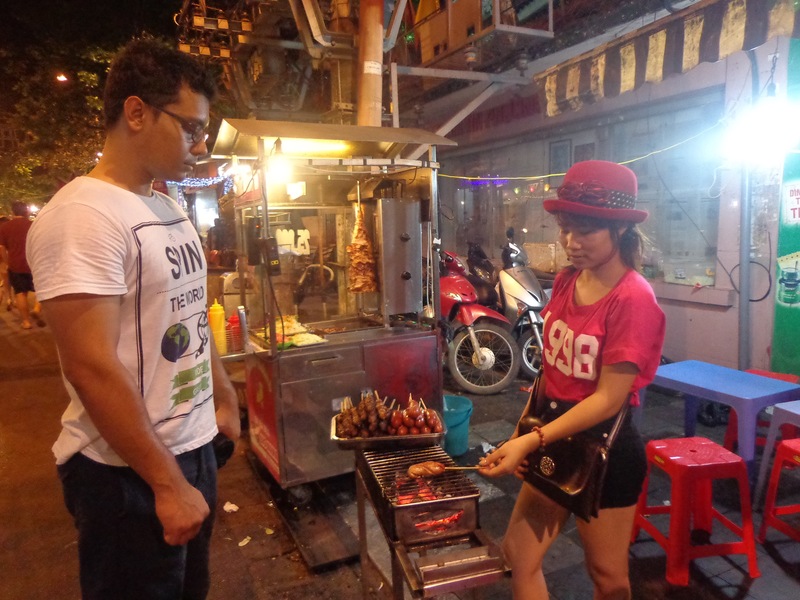 By the time, me and Nandy made it to Aurora, we had very less time to go around the city of Ha Noi. The nearest attraction was the Hoan Kiem lake. The lake houses a temple of Confucius. We decided not to get inside and move to somewhere else. Temple of Confucius on Hoan Kiem lake. Later that night we revisited the lake (because it was close to our new accommodation). The vibe was very different. There were activities like callisthenics and waltz being conducted with portable equipment. 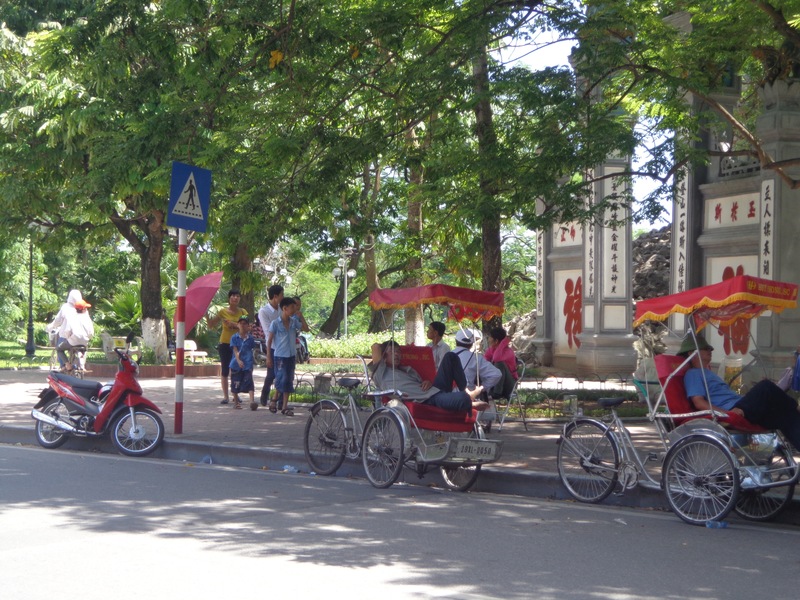 The area around Hoan Kiem lake specialises in various clothing and accessories. Each lane is dedicated to a different kind of apparel. We bought hats from one of the lanes. I have this hunch that we paid tourist price for the hats, which is like 1.5-2 times the local price. 10 USD for two hats might be a bit on the expensive side (and this was after bargaining). I wanted to buy one because it was too hot and sunny. 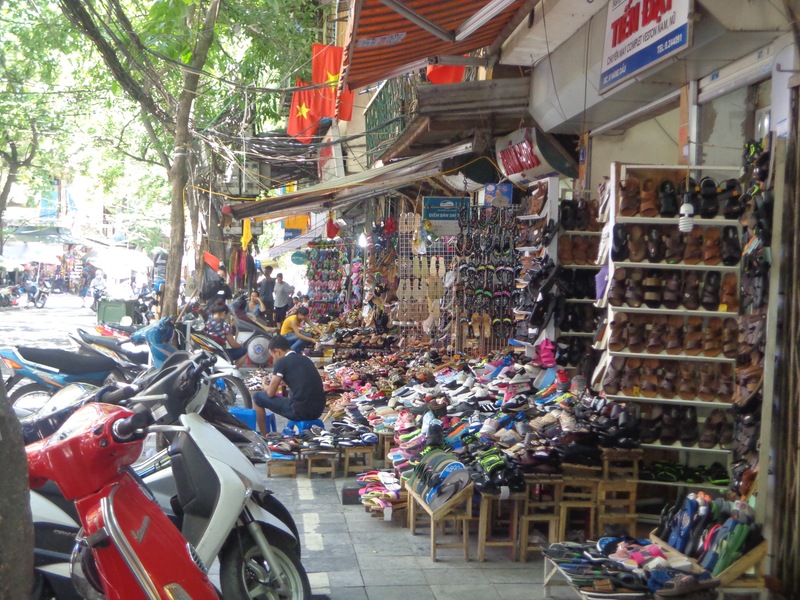 The lanes around Hoan Kiem lake specialise in various types of shops. This particular lane sells only shoes. We took a rickshaw from the lake to an ancient site called The Temple of Literature. 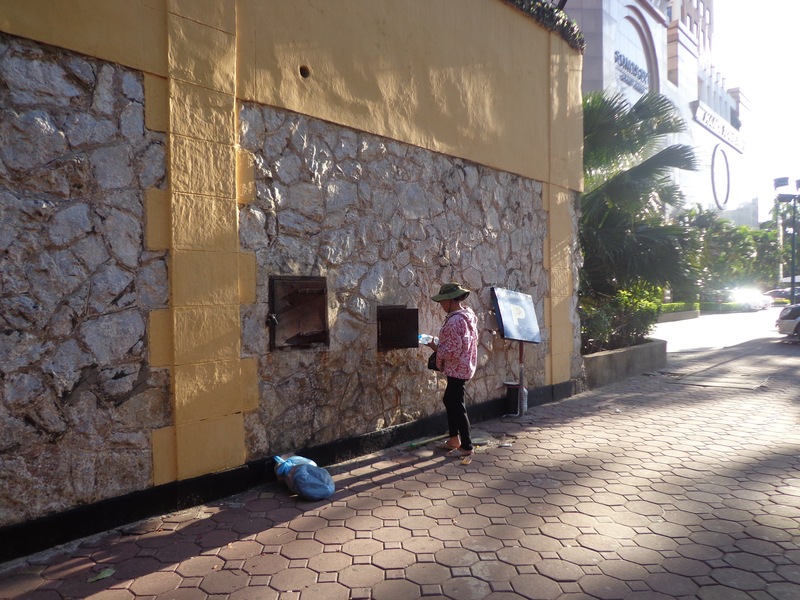 I am quite sure that the 80k VND we bargained for a 2.3 km distance was also a tourist rate. We ended up paying 10k VND more because the rickshaw driver insisted that we were heavy and he needed a beer!! 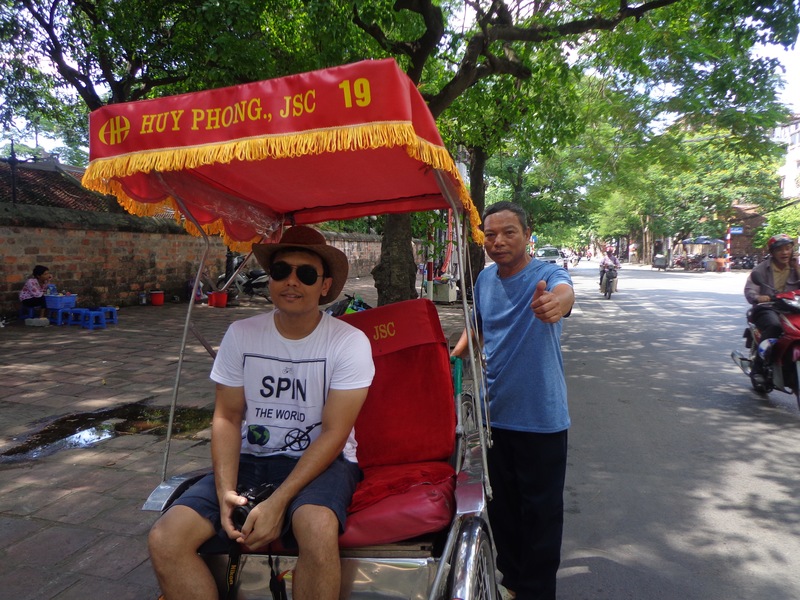 Rickshaws aren’t that common in Ha Noi. However, such rickshaws are parked near tourist spots to lure foreigners. Nandy and our rickshaw driver. The rickshaw driver had mastered the art of posing. There is not much to see at the Temple of Literature. 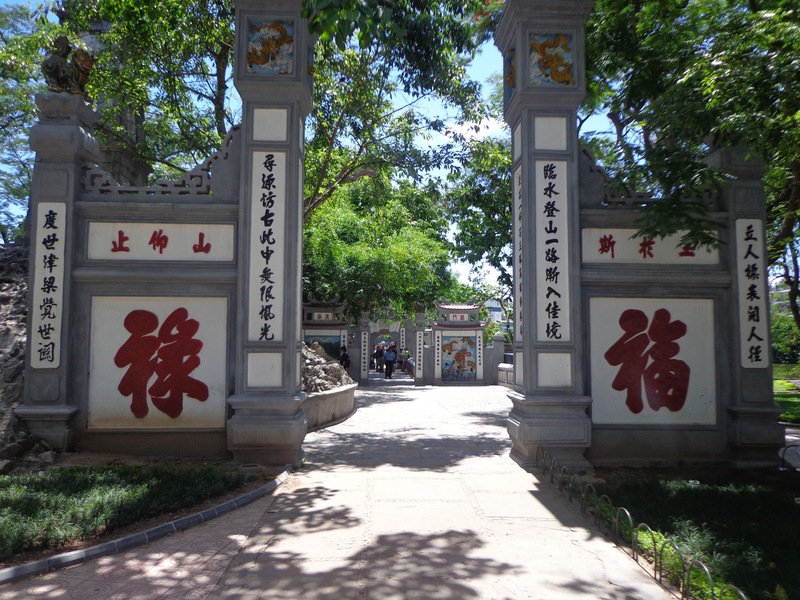 It is one of the oldest university where students were taught many subjects and were tested by the king himself. Now, what I found weird was the fact that the king would have to be more knowledgeable than the students in order to assess them. If I know anything about hereditary monarchy, the chances of such scenarios is not guaranteed in each term or generation. 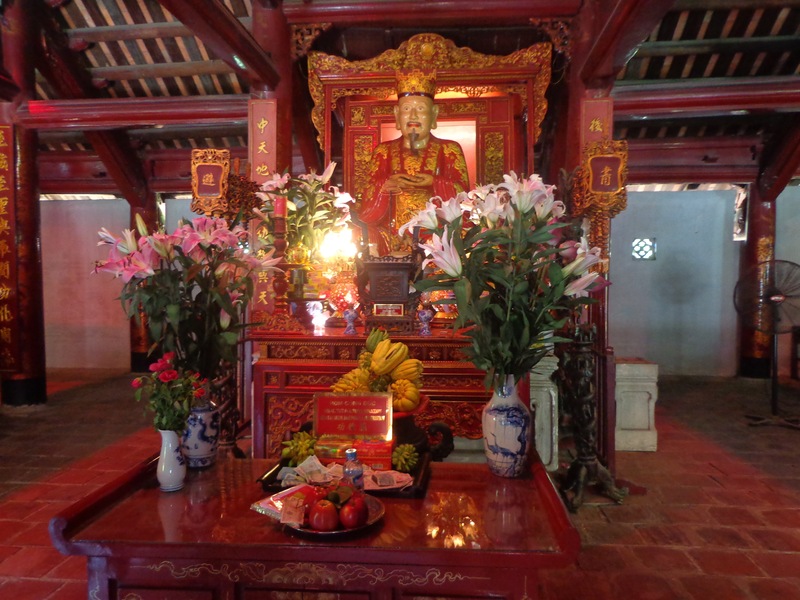 The main shrine in the Temple of Literature. 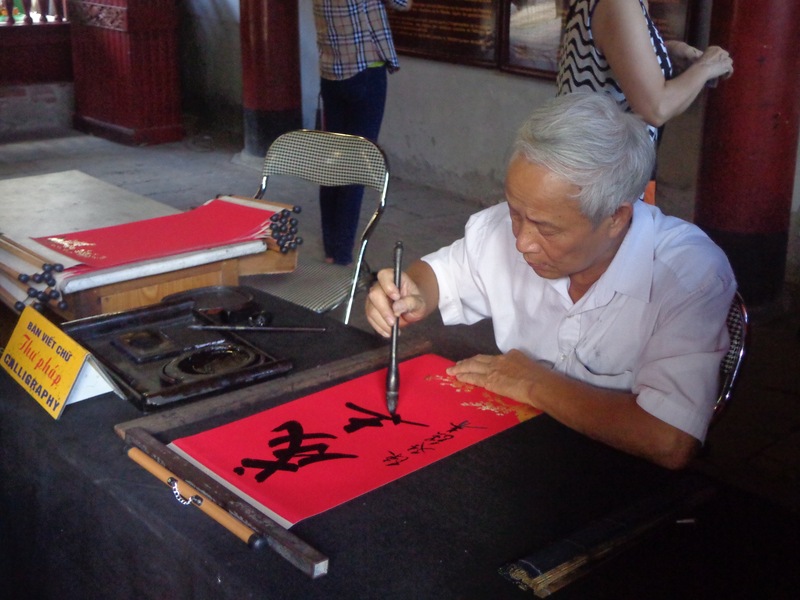 An elderly man working on a calligraphy hanging in the Temple of Literature. A lot of local folks get these wall hangings done. Maybe Handa from Barakamon needs a tutor like him. 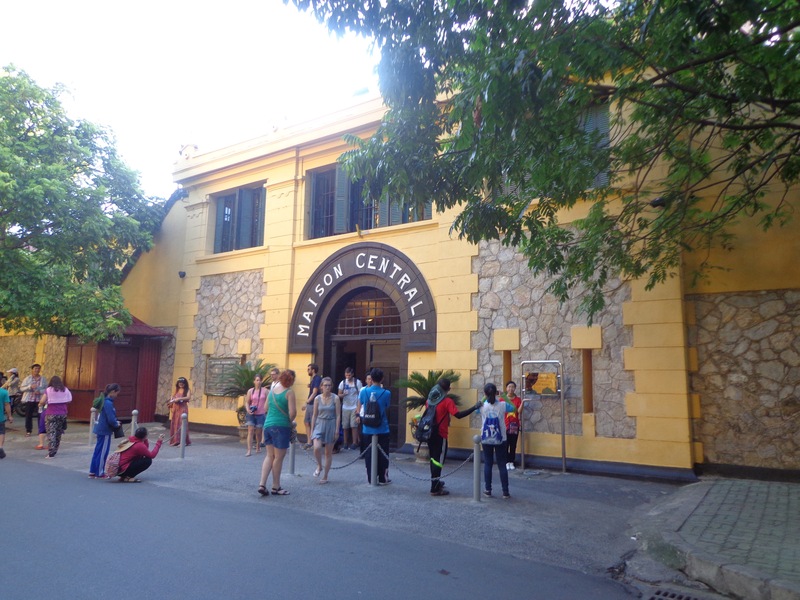 We met Mogit (Amit Prabhakar) who flew in from Singapore at this place and proceeded towards the Hoa Lo prison. By the time we reached the entrance, it was already 5.00 pm and the guard refused to issue us a ticket. I wasn’t disappointed. Apparently the Hindi TV soap operas are destroying countries other than India. This is what I found running on TV. I suggest that our government stop this Rafale / Eurocopter thing, pull the plug on nuclear weapon research and channel the entire fund towards getting our soar operas dubbed in as many languages as possible. If this 5 year old serial wasn’t enough, the current craze amongst women is this TV series called Cô dâu 8 tuổi (click to know its Hindi name). One of the interesting projects in Ha Noi is the KOTO project which stands for Know one, teach one. Here, underprivileged kids are given opportunity to work in a restaurant. Simultaneously, they are taught various subjects in order to accelerate their growth and become a respected member of the society. Charity aside, the restaurant does a western spin on traditional cuisine which puts the food in a league of its own. Beef in Bamboo. The side salad is as interesting as the main namesake. 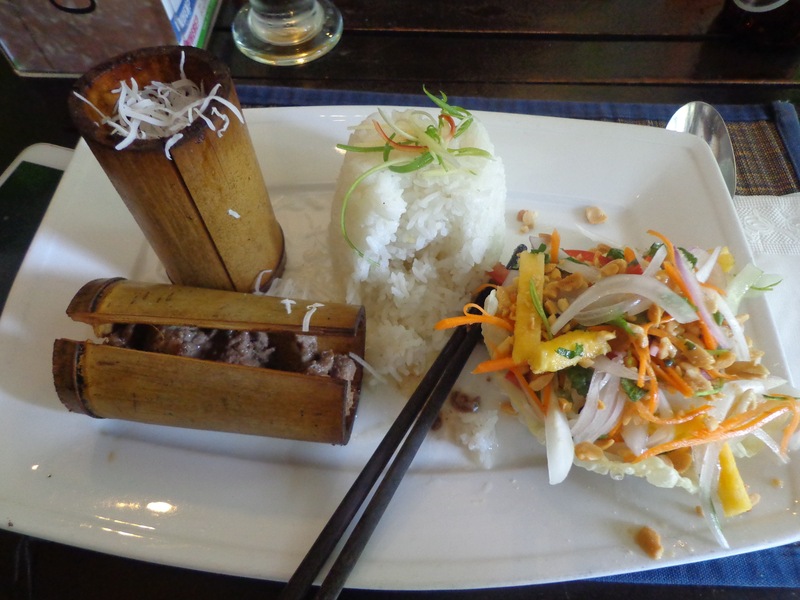 This is a deconstructed Vietnamese roll. 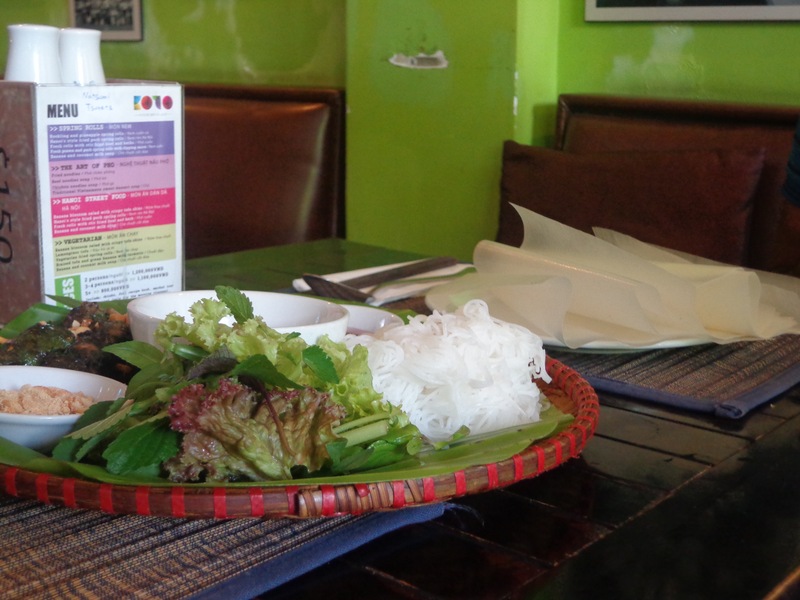 Rice paper is provided along with cooked ingredients. One must wrap the ingredients to make a roll, dip it in the condiment and bite in. 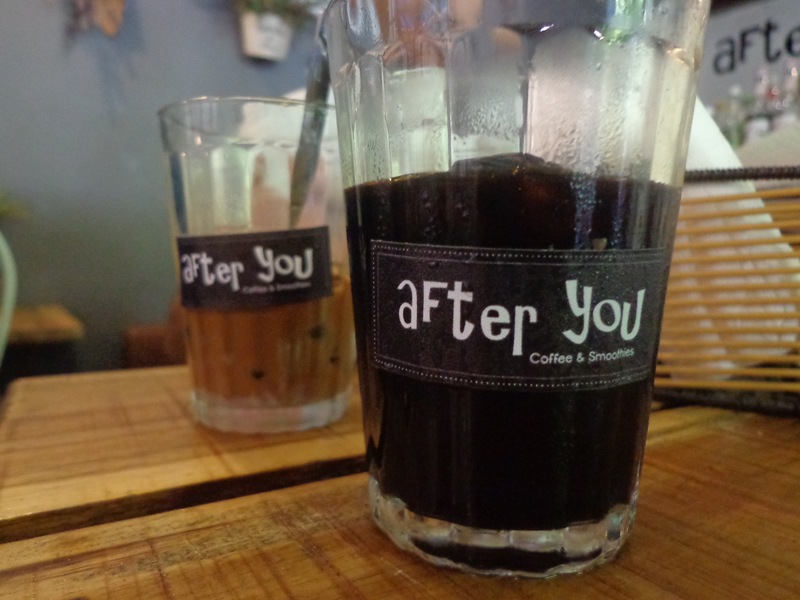 Vietnamese coffee is so different from what we are used to. This time I decided to sample the coffee from a proper coffee shop. This is the coffee I had written about yesterday. This is the strongest coffee I have ever tasted. Just to be brave (or reaffirm my manliness), I decided to order coffee without milk. 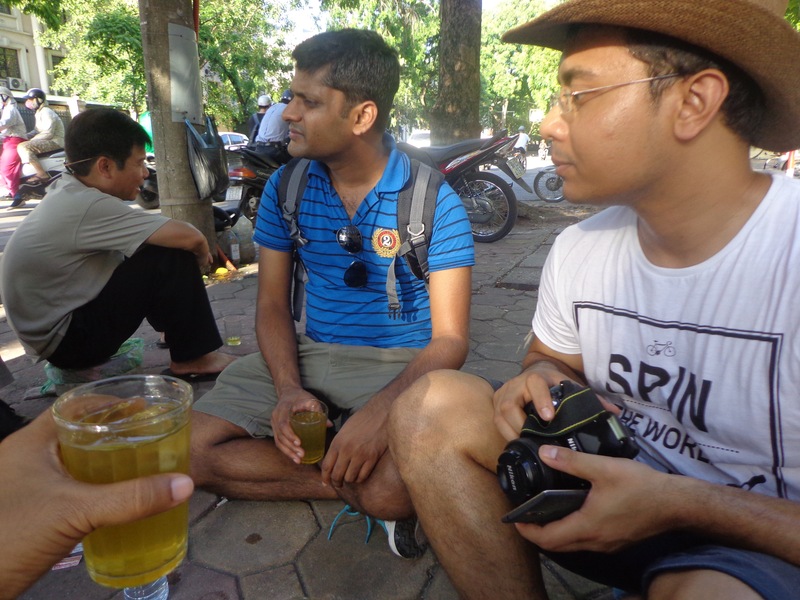 We also had some green tea from the pavement in front of Hoa Lo prison. It was stronger than what I am used to. Me, Nandy and Mogit having some really strong green tea. The old lady running a tea stall on pavement got some ingredients from these locked pigeon holes. 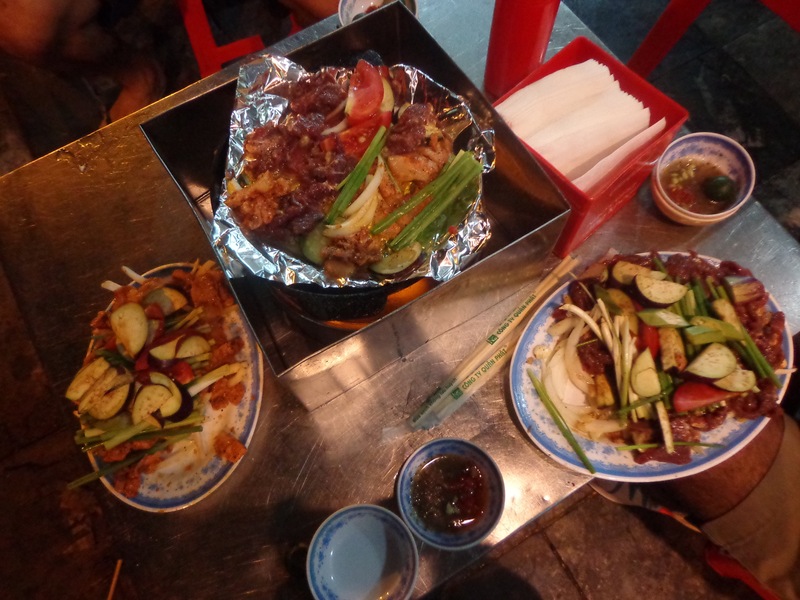 The street food in Vietnam is something one must sample. We had our dinner yesterday from a shop on the streets in Old Quarter. Even today, for our dinner, we decided to sample some other stuff from the same area. We had this traditional barbecue where we had to grill raw meat on iron plate heated by paraffin fire. Barbeque Nation is just a mere shadow of this. 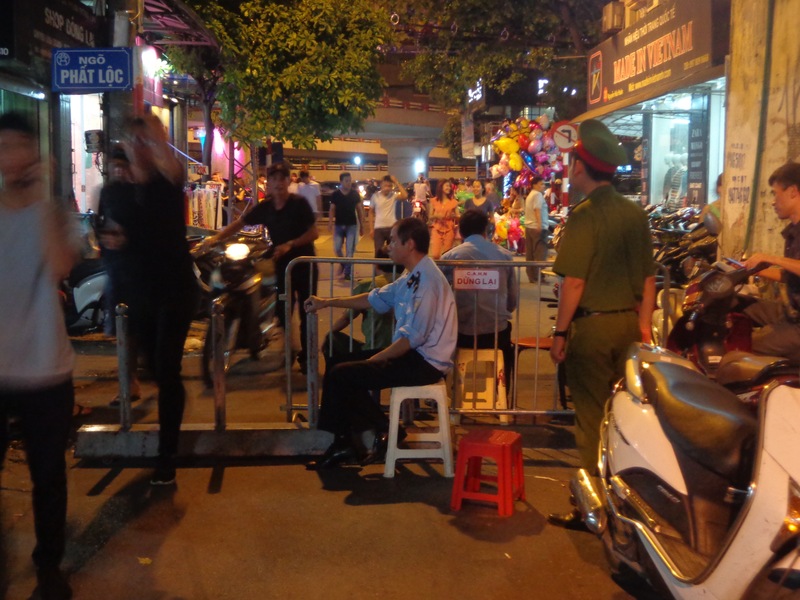 Every Friday, Saturday and Sunday, from 8.00 pm to 11.00 pm, a part of the Old Quarter is barricaded by police. Motor vehicles are banned. Police had set up this barricade and had isolated a large chunk of Old Quarter. Only pedestrians were allowed. During this time, the streets are taken over by performers and fashion conscious pedestrians. The entire area descends into madness. And, madness is good! 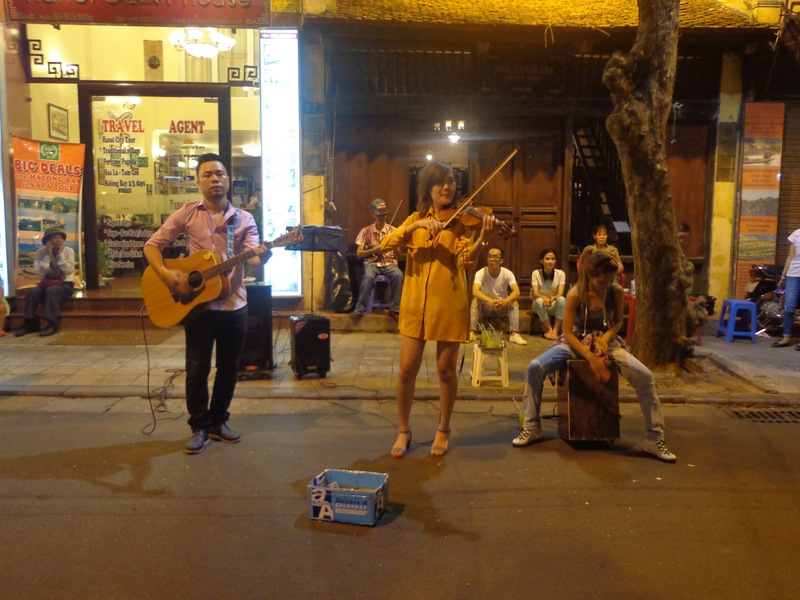 A trio playing Guitar, violin and cajon. An old man was waiting for his performance with a violin. 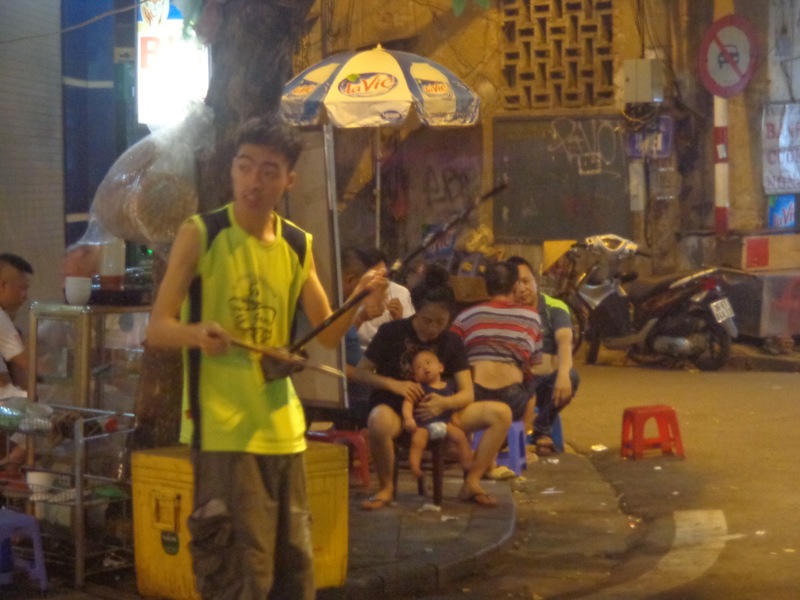 A lone kid played this traditional string instrument (dan nhi) on a background track. The owner of our hotel said that he just goes around and plays for fun. And he also smiles at good looking girls. 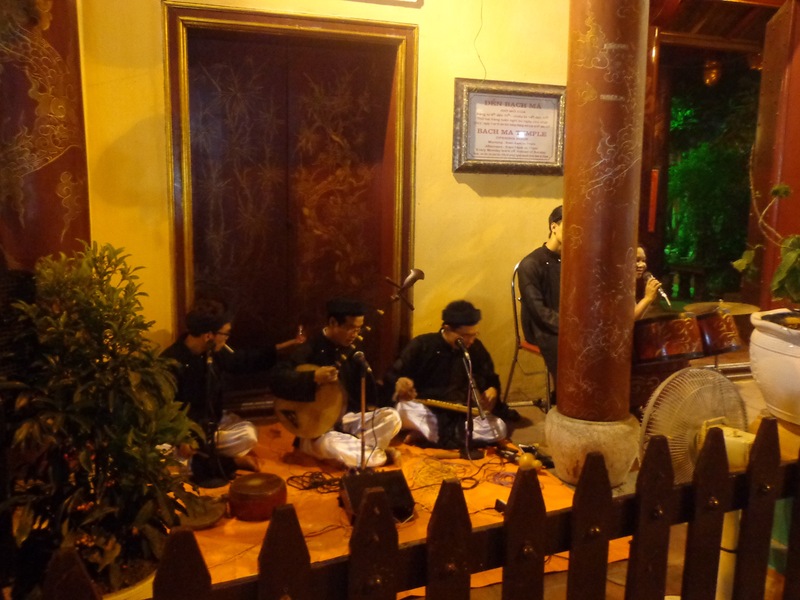 A group of traditional musicians playing in front of the White Horse Temple. Even the kids aren’t neglected. 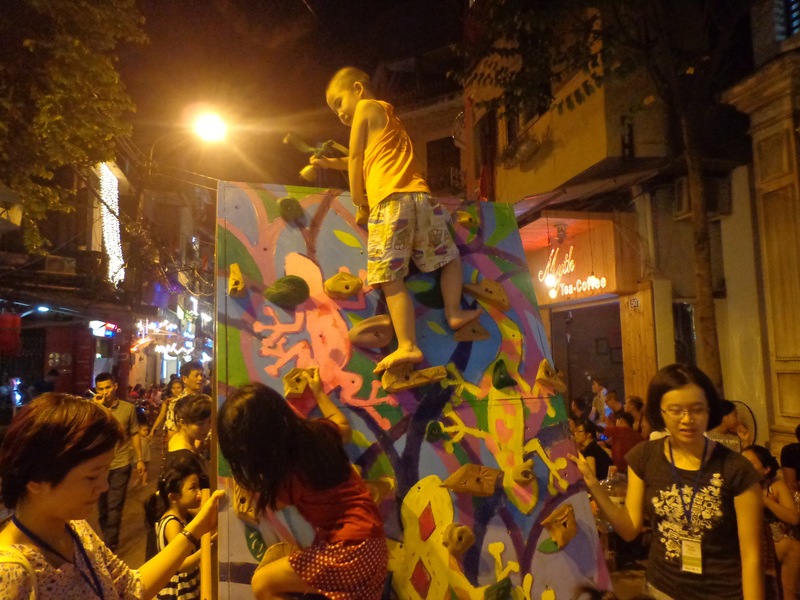 There is an entire street dedicated to activities meant for just kids. No wonder, a friend of Nandy strongly suggested that we stay in Old Quarter and nowhere else.